They may turn their backs on me now, but you wait and see, darling girl. They’re gonna love me when I’m dead. Christopher Welles Feder, the eldest daughter (yep, daughter) of Orson Welles, is the first family member to write a biography of the legendary director and entertainer. 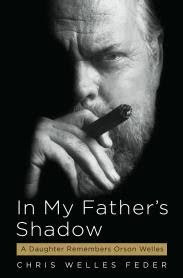 Though Feder has lived most of her life in privacy, in the years after Welles’ death in 1985, she has stepped into the spotlight to defend both her father and his legacy from attacks and misinformation disseminated by those who did not know him. In this frank, but loving book, she continues her quest with intelligent grace. Feder exposes several lesser known facets of Welles’ personality: the artist obsessed with work and constantly driven to create; the compassionate reformer who fought prejudice when it was not fashionable to do so--even when it cost him his radio show; and the errant father whose brief encounters with his daughter both illuminated her life and left her eternally hungry. The story alternates between the frustrations of father and daughter: Feder’s own desperate quest to win her father’s attention and approval and Welles’ lifelong difficulty in finding funding for his projects. The only child from Welles’ first marriage to actress Virginia Nicolson, Feder was one of three daughters he had with each of his wives. All three children were essentially abandoned by Welles, both financially and emotionally, but Feder describes many happy moments with her father. Their periodic outings together, including long meals at restaurants and extensive travels through Europe, provided Feder with a valuable cultural education and the best opportunities she would ever have to bond with her father. Feder describes these moments in great detail, and with a wistful fondness. However, for every leisurely stroll though a museum, there were years of separation, misunderstandings and missed connections. Occasionally, Feder would travel to be with her father, only to be left with a secretary while Welles was occupied by his work. She also endured the unrelenting scorn her mother (not without reason) felt towards Welles, and the dismissive, mentally abusive attitude of her rigid stepfather. Still, Feder emphatically does not feel sorry for herself. Despite the heartbreak she has suffered, she is appreciative of the opportunities presented to her early in life, including travel, culture and moments with the richly talented people in her father’s life. Though Feder never got the love she desired from her father, she found significant support outside of her family. Despite being uprooted constantly throughout her childhood, she had a flair for building close friendships. She also writes lovingly of Welles’ second wife Rita Hayworth, who was by her account an exuberant, loving playmate—though she understandably cut off contact once Welles abandoned her and their daughter. Welles’ childhood guardians Roger and Hortense Hill provided Feder with a longer-lasting familial bond—filling in where blood relatives failed over two generations. In some of the most touching moments in the book, Feder bonds with Oja Kodar, Welles’ mistress for the last twenty years of his life. Twenty-six years his junior, and two years younger than Feder, Kodar gave Welles the intellectual simulation lacking in his previous romantic partnerships. 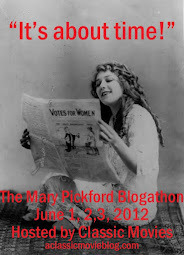 Feder describes a fiercely, and perhaps a bit blindly devoted woman still grieving the death of her great love. It is gratifying to see Kodar finally acknowledged for her influence on Welles’ life. Feder herself seems haunted by the memory of her father. Though she has built a comfortable life for herself, including a happy marriage and a successful career as a writer and educator, you can sense the void left by her unrequited love for Welles. Still, she is devoted to her father and is his most vocal supporter, always willing to fight for the memory of a man who strived to fulfill his creative visions to the end of his life. Good review. Sounds like a very balanced and fair book from someone who obviously knew him a lot better than we ever will. Fabulous review, K! I'm very interested to read this myself now. Cheers. Thanks pj and jenn! If you are at all interested in Welles, I do highly recommend this book. Yes, very interesting. I think I will read the book too. Good review. KC, are you going to go see the new movie, "Me and Orson Welles"? Thanks Tom. I haven't decided if I want to go out and see "Me and Orson Welles" now or wait for the DVD. I'm curious though. I know I'll see it eventually! I guess Chris Welles Feder was upset by the way he was portrayed. Let me know what you think! I can understand why his daughter might take issue with a portrayal of her father, but that won't stop me from checking it out if it's any good.